When you welcome the arrival of a newborn, are you also troubled by breast pain or uneven milk secretion during lactation? Please use a cold or warm press to ease your discomfort. 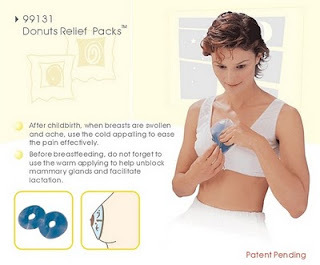 Our " Doughnuts Relief Packs" is the solution to your problem. It has been designed to bring your immediate and effective warming and cooling relief.